Notes: A new rum that is an interesting blend of 20 very different types and ages of rum from 5 different islands. Blended by the Master Blender Arnaud de Trababuc in the Netherlands, this rum was named after the 18th century English explorer Sir Joseph Banks, who sailed with Captain Cook aboard the Endeavor, around Cape Horn to the South Pacific, Tahiti, Australia and then around the Cape of Good Hope on the southern tip of Africa. A blanco (white, crystal, as you will). 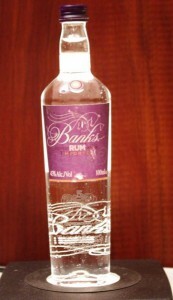 Main rums are Trinidadian Rum, Jamaican Rum, Guyanese Rum, Barbados Rum Indonesian Batavia Arrack . However it is not just a Blanco: a standard Blanco or white rum is a unaged, straight from the still product. Banks is a Reserve Blanco – an aged in wood rum that has been carbon filtered to remove color afterwards rather than adding caramel to homogenize the color (but the addition of which dumbs down taste and nuance). Not your average Blanco, to put it mildly. Appearance: Perfectly clear, almost resinous sparkle with no hazing separation or floating sediments. Long legs and some droplets develop slowly on swirling. First Impression: Slightly heavy, sweetish, with lots of floral ( honeysuckle, gardenia, jasmine) scents stones/minerals, vanilla, tropical fruits, spicy fruitcake floral aromas, with citrus, mace, and ginger notes. Drinks: A rum so complex that it eclipses or renders at least less needed a number of traditional Tiki drinks ingredients. It already has notes of falernum, orgeat and other taste notes- so you may wish to alter your usual recipes a bit to accommodate it. Complex for its age and spicy enough to stand up to other ingredients with an excellent, complex, but vibrant bouquet to it that mixes well with other flavors to make a outstanding drink no matter how simple the other ingredients. Also still cheap enough to allow you to experiment and tease out some new cocktails without breaking the bank. Cigars: A good spicy Dominican or possibly Cuban would go well with this rum Cohiba or Punch? 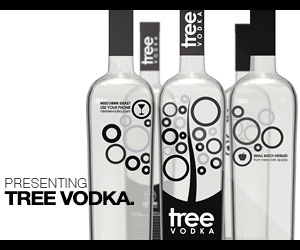 Bottle/Packaging: Clear glass bottle slightly oval tapering to bottom with simple label and script graphics . Dark blue screwcap closure. Nicely done overall package shows the the rum nicely and draws your eye to it. 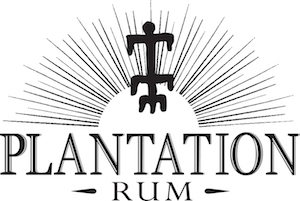 Final Thoughts: A wonderfully complex and delightful rum. Has the grassy and and green notes of a agricole with the bass complexity of a molasses rum,with many nuances in between. Outstanding value for a blanco reserve rum at this price. Most of the competition (in quality) cost about twice as much. Somewhat informative, but a bit short on details.